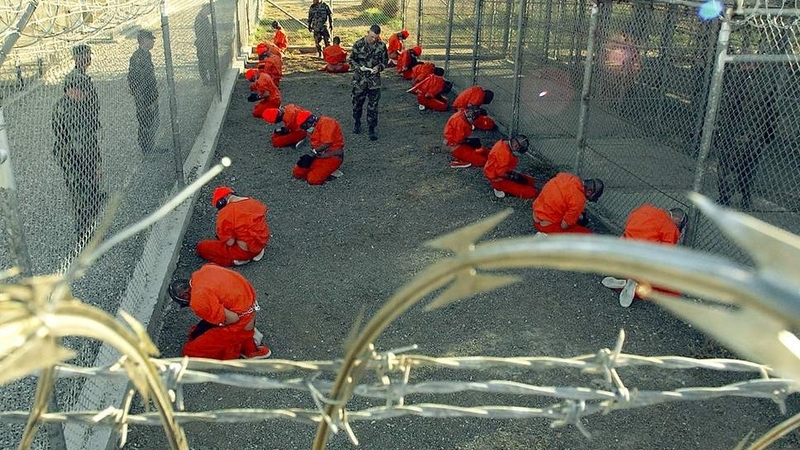 Parliament’s Intelligence and Security Committee It’s been 15 years since allegations first emerged of Britain’s involvement in the torture of those suspected of the 9/11 terror attacks, and earlier this month (July 2018) an official report has finally been released which reveals the ‘true’ extent of Britain’s compliance with the USA’s programme of torture. According to Parliament’s Intelligence and Security Committee (ISC), Britain’s involvement amounted to at least 13 occasions of British agents witnessing suspects being mistreated and having been informed (but done nothing about) of mistreatment by their foreign counterparts or detainees more than 150 times. The report found that British agents weren’t directly involved in torture themselves, but the strategy of British intelligence was to ‘outsource’ the interrogation process to those who they knew used ‘enhanced techniques such as stress positions, sleep deprivation and beatings. The British effectively turned a blind eye to the fact that the USA was in breach of the Geneva Convention on Human Rights. They were so ‘blind’ in fact that they ignored the fact that at one detention centre detainees were kept in containers so small that they could neither stand or lie down, getting around this particular breach of human rights by simply building interrogation portacabins which were large enough to comfortably accommodate the prisoners. Following 9/11 the security and intelligent services were under intense pressure to find and prosecute those responsible, but also to find information which might prevent future terrorist attacks. The problem with using such techniques, however, is that they might well just serve to increase recruitment to the same terrorist networks the authorities are trying to quash. This seems to be a good example of Britain being involved in a ‘state crime’, also a good example of the extent of barriers to researching powerful actors: it’s taken 15 years for this official report to be conducted, and even this doesn’t tell us the whole story: Theresa May refused permission for four key officers to give evidence on national security grounds, so the true extent of Britain’s complicity in state crime may not surface for many years to come! Who is Poor in the UK? In brief, 22% of the UK population, or 13.9 million people live in poverty in the UK (2016). Poverty rates are higher for lone parent households (46%), disabled households (34), and rates also vary significantly by ethnicity (e.g. the Bangladeshi poverty rate = 50%). Below is a summary of the latest statistics on the characteristics of those living in poverty in the UK. 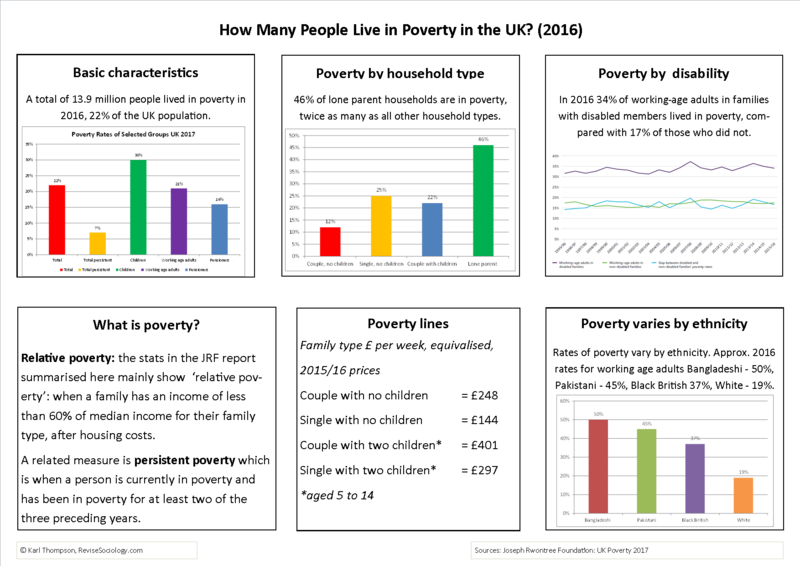 NB These are the latest stats I could find which have been comprehensively analysed by the Joseph Rowntree Foundation, based on their 2017: Poverty in the UK report. If you can’t see the above chart online (it’s designed to be downloaded and printed off in A3) the it’s all replicated below! A total of 13.9 million people lived in poverty in the UK in 2015-16, or 22% of people live below the poverty line, 30% children, and 18% of pensioners. However, there is significant variation between the proportion of working age adults, pensioners and children living in poverty. Relative poverty: the stats in the JRF report summarised here mainly show ‘relative poverty’: when a family has an income of less than 60% of median income for their family type, after housing costs. A related measure is persistent poverty which is when a person is currently in poverty and has been in poverty for at least two of the three preceding years. For more details for different ways of defining and measuring poverty please see this post: What is poverty? 46% of lone parent households are in poverty, twice as many as all other household types. In 2016 34% of working-age adults in families with disabled members lived in poverty, compared with 17% of those who did not. Approx. 2016 rates for working age adults Bangladeshi – 50%, Pakistani – 45%, Black British 37%, White – 19%. There are other variations in poverty highlighted by the JRF report (link above), I’ve just selected the main ‘in focus’ trends as things stand in 2017. NB on the ‘data lag’ – that’s just one of the problems of Official Statistics more generally – most of the data above has been analysed from various different types of government stats, which are already a year out of data before the ONS publishes them, then you have wait further for the JRF summary. If you want the 2018 stats, you’ll just have to wait til 2019! If you like this sort of thing, then you might also like my previous post on ‘Poverty Trends’ in the UK, which looks at how poverty rates changed between 1996 and 2016. NB I’m using the same information from the report, but I’ve changed the order in which it’s reported and summarized it down further. Personally I think my version is much more immediately accessible to your ‘non-expert’: IMO the ‘JRF have a tendency to ‘over-report’ reams of nuanced data, and the overall picture just gets lost. The detail’s important if you’re a policy wonk, but probably going to get lost on the average, interested member of the general public. Before reading this post you might like to check out my ‘what is poverty?‘ post which covers the basic definition of some of the terms used below. 20 years ago, in 1996, nearly a quarter (24%) of the UK’s population lived in poverty. By 2004, this had fallen to one in five (20%) of the population. However, by 2016, the proportion had risen slightly to 22%. *Relative poverty is when a family has an income of less than 60% of median income for their family type, after housing costs. 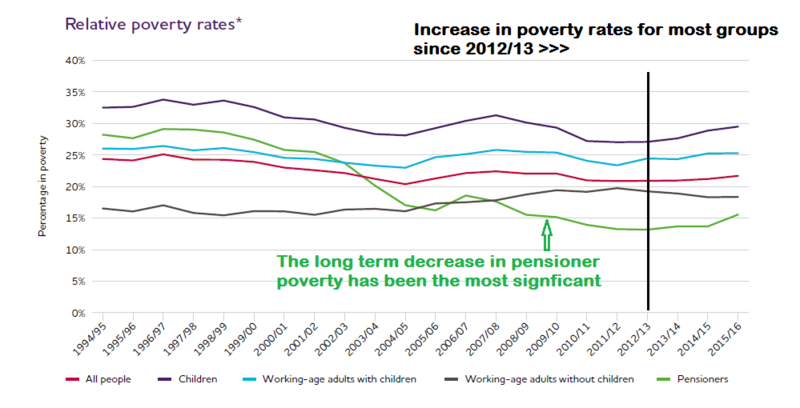 In 1995, 28% of pensioners lived in poverty, falling to 13% in 2012, but rising to 16% by 2016. However, during that time the proportion of working age couples without children in poverty actually grew slightly, from 16% to 18%. Rising employment, linked with higher wages due to the minimum wage, and better education. Housing benefit and increased home ownership containing the impact of rising rents. It seems that the main drivers behind the long-term decrease in poverty in the UK are the ‘positive’ economic factors such as improvements in the employment rate, pay and conditions, rather than increases to benefits. Below I select what appear to be the five most import factors from the report which explain the long term decrease in poverty. NB – while you are statistically more likely to be in poverty if you’re not in-work, being employed it itself is not sufficient to avoid being in poverty. Both the introduction of the minimum wage, and changes to in work benefits for lone parents have been essential to making sure that a higher proportion of people in employment are also not officially in poverty. While work today is more likely to lift you out of poverty than in 1996, it remains the case that a large percentage of those in poverty are in-work (typically in part-time jobs). Obviously higher earnings are more likely to lift people out of poverty, HOWEVER, at the bottom end of the income earning scale, and especially for those with children and in part-time jobs, the increasing cost of living, especially rent (but also childcare and even food and utilities) has negated much of the above increase in wages, hence why government support in the form of child tax credits and housing benefit remains important. Those with degrees earn approximately twice the amount of those with no qualifications, so it would seem that New Labour’s focus on ‘education, education, education‘, and their push to get more people into higher education has had a positive impact in poverty reduction. However, with the introduction of tuition fees and with increasing competition for highly skilled jobs coming from abroad, it’s not clear that this trend (of more and more people getting degrees) is set to continue. Both the introduction of the minimum wage and its subsequent increases seem to have been one of the most important factors in tackling in-work poverty. However, even with the minimum wage, a possible future barrier to further poverty reduction lies in the growth of precarious jobs leading to ‘underemployment’ – where people get too few hours to earn a decent living. For more on this, see my summary of the RSA’s report on ‘Future Work in the UK‘. Basically, there has a been a very slight long-term increase in out of work benefits for people with children, who are now slightly better off than 20 years ago, while poor people without children have seen no change, or are slightly worse off. I guess this leads to an overall reduction in the poverty rate simply because there are more people per family household rather than just couple or single person household. You can see from the above chart, that lone parents claiming JSA and child benefits were briefly lifted to 60% of median income (just on the poverty line) – sufficient to take them out of poverty, however, you can also see that benefits are again being cut back, so we can probably expect poverty rates to increase again in the future! With the exception of single parents who are better off over a twenty year period, every other household type seems to be worse off! Thus I can’t see how this variable would explain the long term decrease in UK poverty. The continued rise in employment is no longer reducing poverty. State support for low-income families is falling in real terms, and negates the gains made by increasing employment and wages. Rising rents, less help for low-income renters and falling home ownership leave more people struggling to meet the cost of housing. 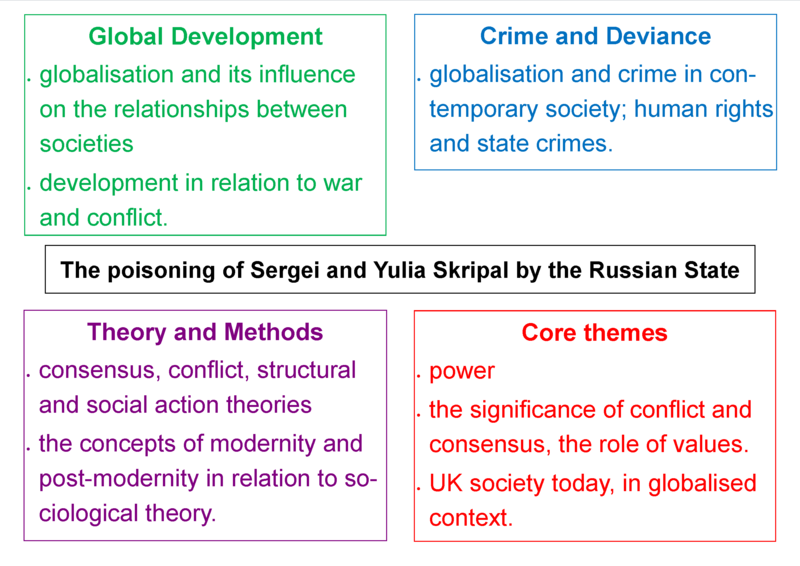 The recent poisoning of Sergei and Yulia Skripal, allegedly by the Russian State, is relevant to many areas of the A-level sociology specification. On 4th March 2018 Sergei Skripal, 66, and his daughter Yulia, 33 were poisoned by a nerve agent called Novichok. The pair were found collapsed on a bench in Salisbury in the late afternoon, following what seems to have been a pretty ordinary ‘afternoon of leisure’ involving a trip to a pub and lunch in Zizzi’s. Four weeks later, they remain in a critical condition. Much of the news has focused on just how deadly the nerve agent ‘Novichok’ is – basically a tiny, practically invisible amount was sufficient to render two people seriously ill, and even the police officer who first attended Sergei and Yulia Skripal was taken seriously ill just from secondary contact with what must have been trace elements of the nerve agent. Pretty much everywhere the pair had visited that afternoon was shut down, and any vehicles that they had been in contact with were quarantined while they were cleared of any trace of the nerve agent and total of 250 counter-terrorism officers are at work investigating the case. Theresa May has accused the Russian State as being complicit in this attempted murder, which seems plausible as Colonel Sergie Skripal is a retired Russian military intelligence officer who was convicted of passing the identities of Russian intelligence agents working undercover in Europe to the UK’s Secret Intelligence Service, MI6. He was jailed for 13 years by Russia in 2006. In July 2010, he was one of four prisoners released by Moscow in exchange for 10 Russian spies arrested by the FBI. He was later flown to the UK. It seems that the poisoning is the Russian State passing its ‘final sentence’ on this poor guy. HOWEVER, Russia strongly denies these allegations, so this might just be a hypothetical state-crime! The international reaction to the poisoning has also been dramatic: to date 26 countries have expelled Russian diplomats, and Russia, which of course denies any involvement in the poisoning, has done the same as a counter-response. Probably the most obvious link to the A-level sociology specification is that this is a primary example of a state crime – it seems extremely likely that the poisoning was carried out by an agent of the Russian state – The UK condemned Russia at the United Nations Human Rights Council as being in breach of international law and the UK’s national sovereignty. Secondly, this case study reminds of us that nation states are still among the most powerful actors in the world – nation states are the only institutions which can ‘legitimately’ manufacture chemical weapons such as Novichock. Thirdly, you could use this as an example of how ‘consensus’ and ‘conflict’ exist side by side. he existence of global values allows various nations to show ‘solidarity’ against Russia and express ‘value consensus’ but it also reminds us that there are conflicting interests in the world. Fourthly, media coverage aside, it’s hardly a post-modern event is it! Having said that, we don’t know for certain who did the poisoning, so all of this could be a good example of ‘hypperreality’. There’s lots of other links you could make across various modules – for example, the way the media has dealt with the event (it’s very news worthy!) and the ‘panic’ surrounding it, it fits with our ‘risk conscious society’ very nicely! The issue of why there are inequalities by ethnicity in the UK is a topic which runs all the way through the A level sociology syllabus. This post simply presents some sources which provide information on the extent of inequality in life chances by ethnicity in contemporary Britain. ethnic minorities are more likely to be arrested, charged, prosecuted and imprisoned. Russel Group universities are less likely to provide ethnic minorities with offers of a place, even when grades and ‘facilitating subjects’ have been controlled for. White British students have the highest chance of being offered a place, with 52% of candidates receiving offers, while Black African students have the lowest chance, with only 35% of candidates receiving offers of places. (source: Manchester University Policy Blog, 2015) also see: (source: UCU research paper). Oxford University has also been accused of being biased against Ethnic Minorities: according to Full Fact – in 2013 the Guardian revealed that only 17.2 percent of ethnic minority applicants were admitted to Oxford University, compared to 25.7 per cent of white applicants, and earlier this year (2017) MP David Lammy argued that this issue has not yet been addressed. NB – It’s worth mentioning that the Russel Group universities, and Oxford University explain this away by saying that ethnic minority students are more likely to apply for more demanding courses for which they don’t necessarily have the grades, hence their higher rejection rate. In January – March 2017 the unemployment rate was 4.1% for white people compared to 7.9% for people from a BAME (Black, Asian, and Minority Ethnic) background. There are significant variations by both specific ethnic and group and age: for example, Bangladeshi and Pakistani Britons have the highest unemployment rates relative to other ethnicity in all ages. This difference is at least partially explained by the relatively high levels of unemployment among Pakistani and Bangladeshi females, which is significantly higher than male unemployment, a trend on found in these two ethnic groups. According to a recent study headed by David Lammy MP, ethnic minorities are more likely than white people to be arrested by the police, to be prosecuted by the CPS, and to be sentenced and jailed by judges and juries. This is just a brief ‘update post’ providing links to some recent statistical evidence on ethnic inequalities across a range of topics in A-level sociology. You should always question the VALIDITY of these statistics – the drug offences stats, for example, do not tell us the severity of offence. It may just be that all of those black women were caught smuggling drugs whereas white women are more likely to be caught ‘merely’ dealing them… not inconceivable! Also, even if you accept that the stats have at least some validity, you’ll need to dig even deeper to deeper to find out why these inequalities in life chances by ethnicity still exist! Official Statistics on schools, teachers and educational achievement provided by the United Kingdom government provide an overview of the education system. They are useful for providing an ‘introduction to the state of education in the U.K’, before embarking on the core content of any sociology of education course and providing a basis for comparing the U.K. education system to the education systems of other countries, which would be relevant to the module on global development. I will also provide a brief discussion of the validity and representativeness of the official statistics below, tying this into research methods. I only deal with state-schools in this post, I’ll do a separate post in future on private, or independent schools in comparison to state schools. The above chart, from the Institute for Fiscal Studies (link below), clearly shows you the extent of the Tory funding cuts to education since 2010. There are 32, 142 schools in the U.K.
For an overview of the different types of school please see this post: different types of school in England and Wales (forthcoming post). The majority of schools in England and Wales are state funded, and there are 5 times as many primary schools as secondary schools. This means primary schools are lot smaller in scale in that each of them has, on average, fewer pupils in them, and should be more ‘locally based for most parents; while secondary schools are a lot larger, will have many more pupils in them, have more of an ‘education factory’ feel to them and be more widely dispersed, meaning children will have to travel further to them. The number of pupils in primary schools increased by 8.3% between 2011 to 2015. This probably reflects demographic trends in the United Kingdom (although by all means do verify this); if this is the case, it means we might reasonably expect to see an increase in secondary school numbers over the next few years. but only 2.8% of them have an SEN statement with a further 11.6% receiving SEN support, mostly within mainstream maintained schools. NB – if you read this in conjunction with the previous chart, then it suggests that special educational needs students are becoming increasingly segregated into special schools and/ or pupil referral units, rather than being dealt with in mainstream secondary schools. Another thing to note about the chart above is that it’s highly unlikely that the number of statemented SEN children are increasing while there’s been a fairly sharp decrease in non-statemented SEN kids, this has got ‘change in labelling’ written all over it as an explanation (no pun intended). At age 17 it was 87.8%. The overall number of teachers has increased over the last five years, but this increase is mainly in primary teachers. The number of secondary school teachers has actually decreased. How useful are these education statistics? Such statistics are a useful starting point if we wish to make cross-national comparisons between the U.K. education system and the rest of the world, which would be useful for students of global development, given that education plays a key role in development. Indeed if we wish to compare the relationship between education and development in several countries, statistical rather than qualitative comparisons may be the only way of doing so. From an arrogant, modernisation theory perspective, these statistics provide an indication of the level of investment required in terms of expenditure and teachers, and the types of outcome that less developed countries should be aiming for. Most of the education statistics above count as ‘hard statistics’, i.e. there’s little room for disagreement over the ‘social facts’ which they show – for example, it’s hard to argue with the stats on ‘number of schools’ and ‘number of qualified teachers’. However, others are much softer, and have more validity problems, and can be criticised for being social constructions rather than reflecting underlying reality: the statistics on special educational needs clearly come under this category – there is simply no way the underlying numbers of students with ‘SEN’ have decline from 21 to 15% in 5 years while the number of certificated SEN kids have increased – what’s really happened is that the number of kids which schools categorise as having Special Education Needs has decreased in the last 5 years, probably because the Tory’s cut previously existing funding for this category of student in 2010 (ish). Most of the statistical sets below are updated yearly, or more frequently. Education and Training Statistics for the U.K. – published by the department for education. In this source you’ll find data on the number of schools, teachers, and teacher-pupil ratios as well as basic educational achievement data by Free School Meals, gender and ethnicity. Published annually in November. School Workforce in England – covers teacher numbers and pupil-teacher ratios in primary and secondary schools in England and Wales. Published annually every June. Special Education Needs in England – details of children with special education needs, by type of need, and broken down by school type and gender (statistics derived from the ‘schools census’). Participation in Education, Training and Employment by 16-18 year olds in England: End 2015 – produced by the DFS focusing on 16-18 education and training. 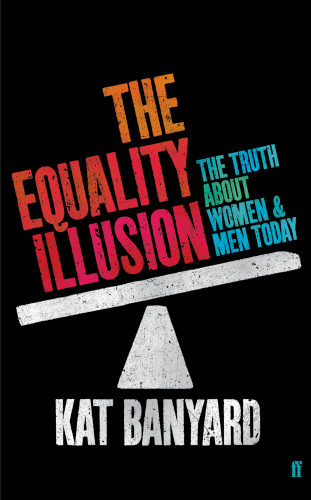 Evidence from Kat Banyard (2010) The equality illusion– the truth about women and men today, Faber and Faber. 2. A survey conducted by Dove of 3000 women found that 90% of them wanted to change some aspect of their body with body weight and shape being the main concern. 3. One in four women has considered plastic surgery. 4. An analysis of animated cartoons shows that female characters are far more likely to be portrayed as physically attractive than male characters and those who are attractive are far more likely to be portrayed as intelligent, employed, happy, loving and involved in kissing and hugging. 5. In 2007 a survey of Brownies aged 7-10 were asked to describe ‘planet sad’ they spoke of it being inhabited by girls who were fat and bullied about their appearance. 7. The more mainstream media high school students watch, the more they believe beauty is important according to the American Psychological Association. 8. The media furore over Susan Boyle was mainly because she didn’t conform to the female stereotype of beauty. 10. Some studies have shown that the more a girl monitors her appearance, the less satisfied she will be with her appearance. 11. Two thirds of women report having avoided activities such as going swimming or going to a party because they feel bad about their appearance while 16% of 15 -17 year olds have avoided going to school for the same reason. While some Feminists argue that the Feminine pursuit of beauty is simply a matter of choice – women freely choose to do it (Baumgardner) others (Jefferys) argue that the practise of beautification reflect and perpetuate gender inequalities – women put effort into displaying their femininity/ sexuality because they are relatively powerless – and those women that do engage in the practise of beautification perpetuate the idea that a woman’s value is in her beauty. Millions of girls and women begin their days with beautification rituals because their sense of self hinges on the gaze of others. If your sense of self esteem depends on what you think others think of your appearance, can you really be said to have freedom of choice? Also, can you really say women are equal to men in this respect? One of the reasons for the persistent problems of body image faced by females is that girls are taught from a very young age that their physical appearance is a reflection of their worth and value, and treated accordingly. Stratification is one of the core themes within A level Sociology and Sociology more generally. One of the major sources of stratification is found in differences between wealth and income within the UK. According to various sources of statistics (of course you should always question where these come from!) the UK is one of the most unequal countries in the developed world, and this is something I like to bang on about a lot. Below are a few handy infographics which illustrate the extent of wealth and income inequality in the UK. This first infographic from the excellent Equality Trust (authors of The Spirit Level) provides a nice general overview. The headline figure is quite easy to remember – the top o.1% earn about 100 times more than the bottom 90%, and the ratio is roughly the same for the earnings of a CEO of a FTSE 100 company compared to the average UK income. 2. This infographic from Income Inequality Briefing reminds us that the wages of the richest have increased, while the relative wages of the poorest have decreased in real terms. 3. This third infographic, again from the Inequality Briefing, looks at things regionally – Basically I think it tells us that the wealthiest region (London) is twice as wealthy in terms of wages as the poorest (up north somewhere or Welsh valleys). It also reminds us that the UK is one of the most unequal countries in Europe. Basically the average income in London is double the average income in the West Midlands. 4. This final infographic from the Office for National Statistics at least reminds us that taxation and benefits do help to reduce income inequality to an extent. Before tax and benefits the richest 20% of households are 14 times richer than the poorest, but after tax and benefits, the ratio reduces 4. NB1 – If you were comparing the richest 10% with the poorest 10% the difference would be larger. NB2 remember that most people who receive benefit are actually in work, and benefits (e.g. housing benefit) tops up their low wages.